Hey, my name’s James. I’m usually around when Joe decides to mix up a few drinks, and so he’s become my cocktail sensei. 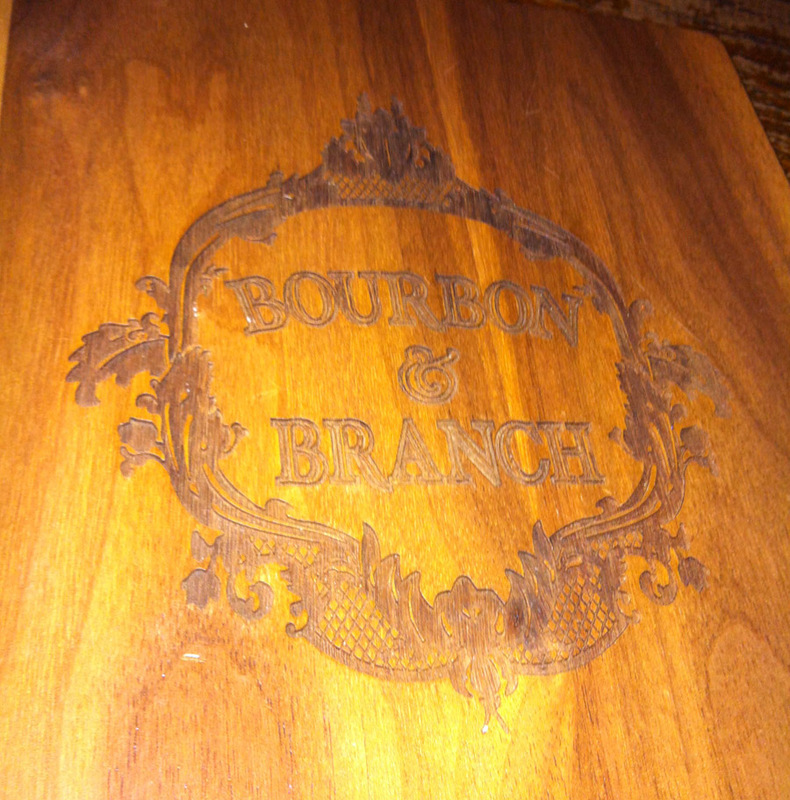 I recently had the opportunity to visit San Francisco on business, and Joe recommended that I check out a place called Bourbon and Branch. It was easy to convince my coworkers to join me for a few drinks, and once I had told them that this bar had Joe’s endorsement, it was a done deal. His recommendation did not disappoint. Bourbon and Branch is a pretentious speakeasy-style bar located on a grimy downtown San Francisco street corner, under a sign that reads “Anti-Prohibition League”. Being a snobbish drinkery, gaining entrance was, of course, an ordeal. Reservations had to be made. A passphrase had to be received. An intercom had to be used. There are rules one must obey. Personally, I can do without all the role play involved with this sort of thing, but I see how it adds some charm to the experience, and is appealing to some people. Either way, this set the tone for what was to be an evening of fine drinking. I later learned that this particular location has been operating continuously as a bar since the pre-prohibition era, enduring the ages under various names and ownerships. The latest incarnation is a surprisingly large-scale operation. They even sell gift cards. The server who greeted us at the door instructed us to wait as our table was prepared. As we waited, I looked around the bar and soaked in the atmosphere. The room was dimly lit by a few glowing light fixtures scattered about and a pair of extravagant chandeliers which hung above the bar. The room felt intimate, but not isolating. Everything screamed of that 1920s/speakeasy/prohibition vibe – almost to the point of feeling a bit like a cheesy theme park, but not quite. Business wasn’t bumping that night, but it wasn’t dead either. There were a few people sitting at the bar, quietly chatting amongst themselves and enjoying their cocktails. Behind the bar were two bartenders, dressed to match the ambiance, who were busy mixing and shaking drinks. The bar itself boasted a huge selection of spirits, with an entirely separate display showcasing an impressive collection of whiskey. After a short wait, we were shown to our table. I was surprised at how large the place was. Our server lead our party into a back room that I hadn’t previously noticed, which was easily as large as the front area, but was filled entirely with booths. We were seated at one of the booths towards the back of the room, along a very narrow slab of wood that had been attached at one end to the wall, which served as our rickety table. As we sat down, I watched as another party was shown through a false bookcase into yet another back room, which I guess is “the library”, another bar area, I suppose. Our server directed our attention to the end of the table, where we saw a hefty, wooden bound tome. It was their menu. The thing was over 50 pages long. The book’s size was such that, when spread open to read, it barely fit atop our narrow table. The covers and spine were decorated beautifully with engraved patterns. It had a table of contents. The first four or five chapters were dedicated to different sorts of cocktails: sweet/fruit-based, spirit-driven, egg-whites, etc. The remainder of the book served as a catalog of spirits, liquors, and fortified wines. We enjoyed a few rounds that night, but the drink I enjoyed the most was my first drink. I ordered what I guess is a twist on the Manhattan, which they called Agent Smith. Rye, green chartreuse, punt e mes, maraschino, and chocolate bitters. Ever since I had this drink, I’ve been on a rye and green chartreuse kick. The chocolate bitters really tied the whole experience together. Everybody was impressed with their drinks throughout the night, and we decided to end our stay with a nightcap of absinthe. The one aspect that disappointed was the service, however. It was terribly slow. Bizarrely, they refused our party of four more than a single copy of the menu. C’mon now. If your menu is 50 pages long, how can you expect four people to share it at once? Even if hoity-toity speakeasys aren’t your thing, the quality of the drinks was superb, so check out Bourbon and Branch if you’re ever in San Francisco. Being a pretentious tavern, their rules (the first page in the menu) “strongly discourage” guests from using cellphones, speaking loudly, flash photography, or wearing hats indoors. I’d like to thank Mike, who broke pretty much all of these rules to bring us these candid photos. 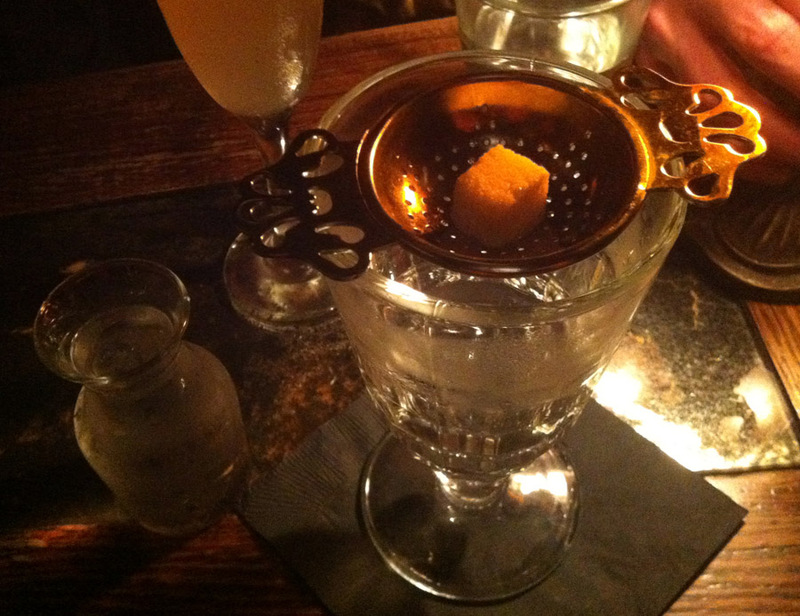 Categories: excursions | Tags: absinthe, alcohol, bars, bartending, booze, bourbon, bourbon and branch, cocktail, cocktails, drinking, drinks, mixed drinks, san francisco | Permalink.